Tired of posting the same over-filtered selfies? 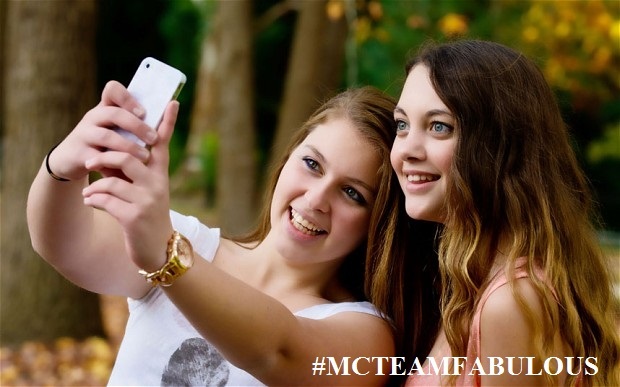 Take your photos to another level and get featured on Instagrams’ popular page with MC College’s beauty workshop, “#MCTEAMFABULOUS”! 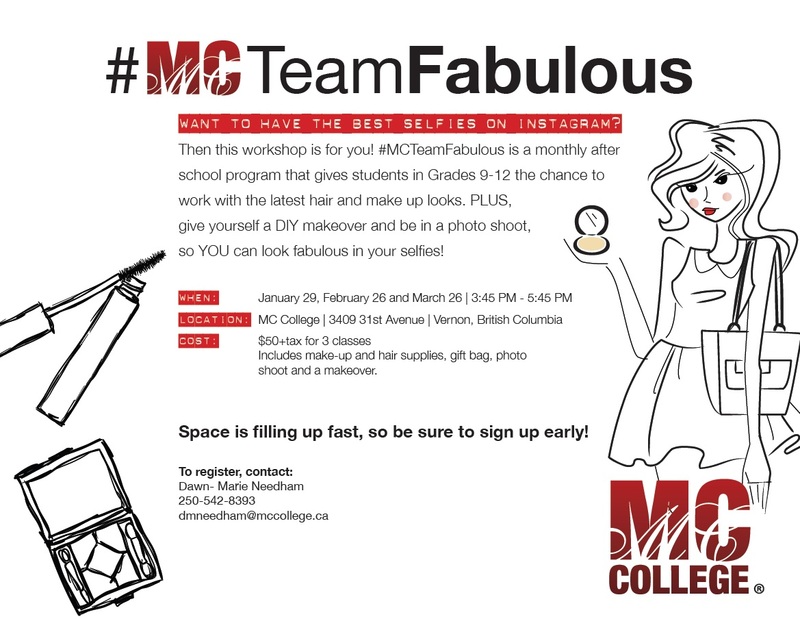 This workshop gives students in Grades 9-12 the chance to work with the latest hair and make up looks straight from the runways of New York! The classes run on January 29, February 26 and March 26 between 3:45 PM and 5:45 PM, where you’ll learn how to pose in pictures, receive a complimentary makeover, be in a photo shoot and learn how to make your own spa products! Includes make-up and hair supplies, gift bag, photo shoot and makeover. The classes will take place at the Vernon MC College campus at 3409 31 avenue. Legal parent, guardian or caretaker must register you into the classes.